Tamers Blu-ray Box Cover, Audio Drama Title and Cast, Plus Fan Vote with Prizes! Thread: Tamers Blu-ray Box Cover, Audio Drama Title and Cast, Plus Fan Vote with Prizes! 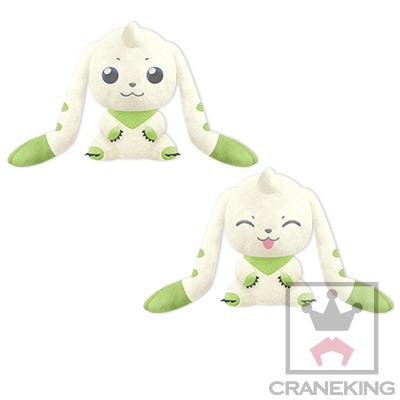 We have a few different bits of news regarding the Tamers Blu-ray box! 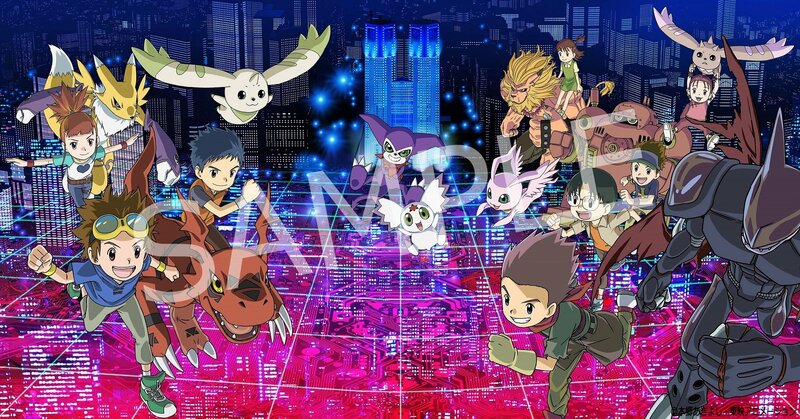 First up, the cover of the Digimon Tamers Blu-ray box cover in full color, and it's really rather striking. As we previously found out, Katsuyoshi Nakatsuru, character designer for Tamers (and Adventure, 02, and Frontier), drew the cover. It's a fantastic piece of art, and it really is a fun and unique take on the running covers that Adventure and 02 used. The colors feel a touch dull, which is likely a compression issue. Next up... details for the new audio drama! Takato, Guilmon, Jianliang, Terriermon, Ruki, Juri, and Yamaki all return with their original actors, with Renamon mysteriously not being listed. It'll also be interesting to find out if the title having 2018 in it is saying it is being 'released' in 2018... or does it take place in 2018? The Blu-ray box will be available April 3rd, 2018 for 53,800 yen. Early copies of the box will include the new Tamers audio drama. The fan vote will end on December 3rd and the top voted episodes will air on TV, from the new remastered Blu-ray masters. Previous Tamers Blu-ray Box thread is here. A nice promotional flier was put up today at Megahobby Expo featuring the new Blu-ray art. 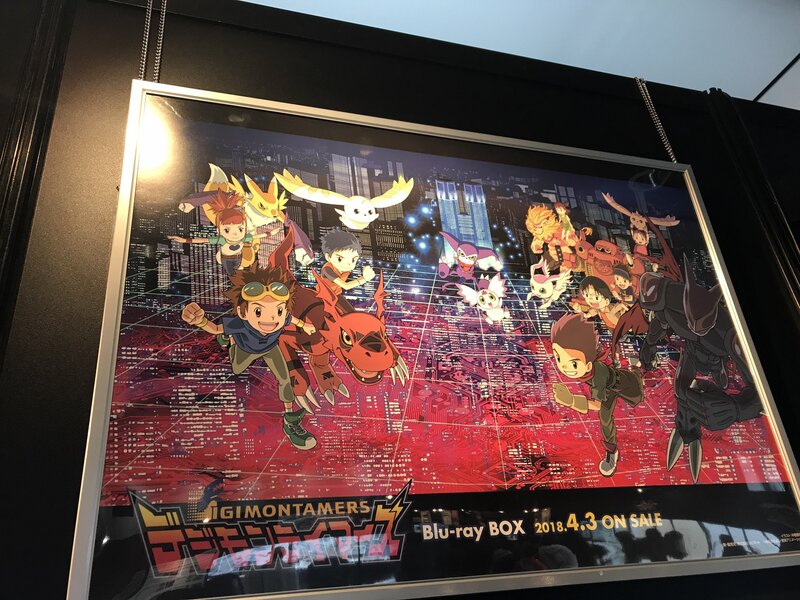 A number of Digimon products are on display at the expo and it's a great place to promote the upcoming Blu-ray box. I hope the scaling is good enough and that there are not many ugly filters.. then again, honestly, the DVD looked impressive enough in SD.. Probably a Blu-ray player or MPC-HC upscaling with MadDVR would do a great job with the DVD's. Loving both the title and artwork. I'm guessing the 2018 kind of has a double meaning. Like how the tamers book was titled 1984. I do recall Konaka saying that he would like to set the drama in modern day. While also be similar to digimon 02. That cover art looks totally awesome! I could so get behind it for my new wallpaper. Am I feeling it? Am I not? I'm totally feeling it! Also, I wish they'd do a digital release of the BluRay boxes some day, as that would be easier than paying a fortune to import from Japan. The last couple of Zero Two eps looked fantastic on BluRay (so I've heard), and Tamers looked pristine even on DVD, so I have very high hopes for Tamers. Also, would anyone be willing to remove the annoying 'Sample' text from the image? I tried to do it in Krita and failed miserably. I'd love to have the image as a poster in my room, as Tamers is a series I hold dear. The title of the CD drama seems to imply that it takes place in 2018, but you'd think they'd change the voice actors if the characters (particularly Takato) were going to be aged up significantly. I also wonder what NYX is. Sounds like it could be related to Hypnos, given the Greek mythology connection. My mind has jumped to the absolute worst: it's 2018 in the Tamers universe and Renamon has been deleted somehow. Less morbid; Movie 6 is not taken into account, it's been 17 years since the Tamers have met the Digimon; Renamon just separated herself from the other Digimon, and they haven't seen her either. Hoping this is all pointless and maybe there's just an (innocent) voice actress issue. EDIT: Back in May, Yuka Imai took a hiatus from acting to care for her son, who was diagnosed with a developmental disorder. I don't know if that would effect something like a CD recording versus TV anime. Perhaps they chose to not include Renamon out of respect, and not recast her(or they might still be in the process of recasting Renamon). Wishing the best for everyone involved. Last edited by B-mon; 11-24-2017 at 10:33 AM. By the way, did anyone else notice that the CD drama's title is a play on the second Tamers ending theme's title (Days ~ Affection and the Ordinary)? Huh, NYX is voiced by Hatsune Miku's voice provider, that's interesting. The title originally made me think it was going to take place in 2018, but like TMS said that'd be kinda weird with their current actors. That's too bad, it'd be pretty cool to see the Tamers kids as like, 25 years old. I wonder what they'd think of tri. Updated with an image of a promotional poster using the new art. It's still possible. I mean look at Naruto or DB, the protagonist has had the same VA since that character's childhood. Not even in flashback when they are even younger do they use a different VA.